Beautiful, new, end unit at Oceanside Village in Mexico Beach. Mexico Beach is a quaint, family friendly beach town with sugar-white beaches and beautiful sunsets. 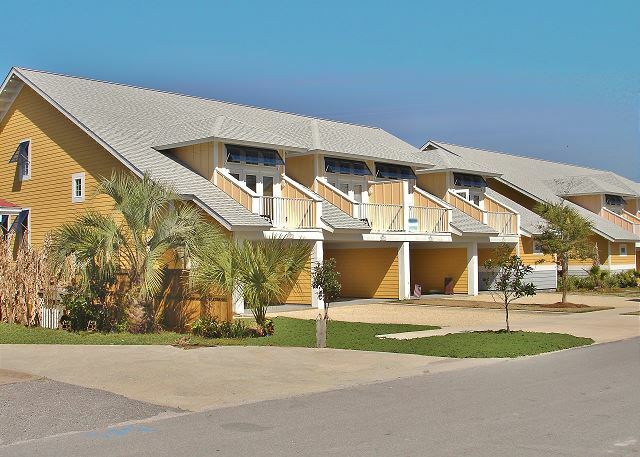 Oceanside Village is a new townhome complex located in the center of town, on the beach side of Highway 98. This end unit has lots of natural light, privacy, and beach views from both bedroom balconies. Just steps from the beach, the marina, the public fishing pier, local shops and restaurants, this new, two-bedroom, two-bath, end unit is filled with natural sunlight, bright beachy decor, new comfortable furniture throughout, and all the comforts of home. Entertain family in friends in the spacious full kitchen and adjoining living area, or on the main balcony which overlooks the pool. The kitchen includes a breakfast bar, corian countertops, and a new deep freezer especially for your fresh catch. Relax in the cottage style master suite which has a queen size bed, flat screen tv/dvd, private balcony with ocean view, double sinks, shower, and large garden tub. The coastal style quest suite has a queen size bed, flat screen lcd TV, private balcony with ocean view, and adjacent bath. The living area sleeps two with one queen size sleeper sofa. So come kick off your flip-flops at sandpipers rest!